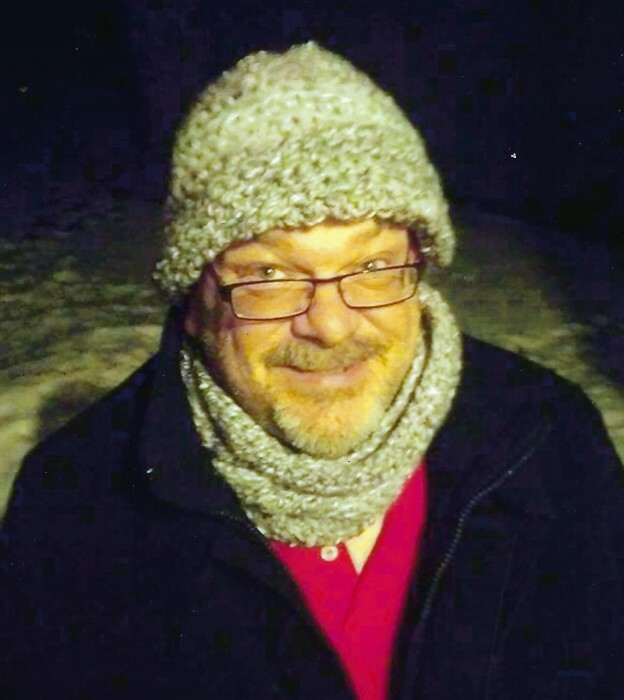 Ricky Spencer Whitehead-Anderson, age 52 of Janesville, died on April 7, 2019 while at the Mercy Hospital in Janesville. Ricky was born on February 18, 1967 in Monroe, the son of Rodney and Mary Ann (Walmer) Whitehead. Ricky graduated from Brodhead High School in 1985 and later attended UW Whitewater. He has worked for over 2 years at the TA truck stop in Janesville and for over 7 years at CSC security. He married Eric Anderson on May 2, 2015. Ricky enjoyed crocheting, going out doing paint night with Eric and watching UW Women's Hockey. With the recent warm weather, Ricky would have been gardening and starting to plant his flowers in the yard. Ricky also knew how to make people laugh and had a knack for making people smile. Ricky is survived by his husband, Eric Anderson Whitehead; a daughter, Rikkie Johnson; 2 grand daughters, Raven and Connie; his mother, Mary Ann Whitehead; 3 sisters, Sheree Clark, Wanda (Lynn) Lunde and Dorothy Croake; 4 brothers, Russell (Leigh) Whitehead, Royal Whitehead, Roger (Julia) Whitehead and Rendell (Sherri) Whitehead; a mother-in-law, Paula Anderson; 2 brother in laws, Josh (Joy) Anderson and Blake (Jen) Anderson; one sister in law, Desiree (Joe) Germann; 18 nieces and nephews; 13 great nieces and nephews; a special sister, Ruth Whitehead; special great nieces and nephews that spent a lot of time with Rick, Tucker Eller and Elena Eller and two nieces and nephews raised by Rick, AJ Eller and Shawn Croake and many other aunts, uncles, cousins and other relatives. Ricky was preceded in death by his father, Rodney Whitehead in 1983; 2 brother in laws, Duane Clark and Ralph Distler and two nephews, Riley Whitehead and Christopher Whitehead. A Celebration of Life will be on Saturday, April 20, 2019 at 321 Dvorak Court in Stoughton WI 53589. Those who would like to bring a dish to pass. We would like to offer anyone a chance to say something about Ric starting at 1 PM. DL Newcomer Funeral Home is assisting the family with the arrangements.